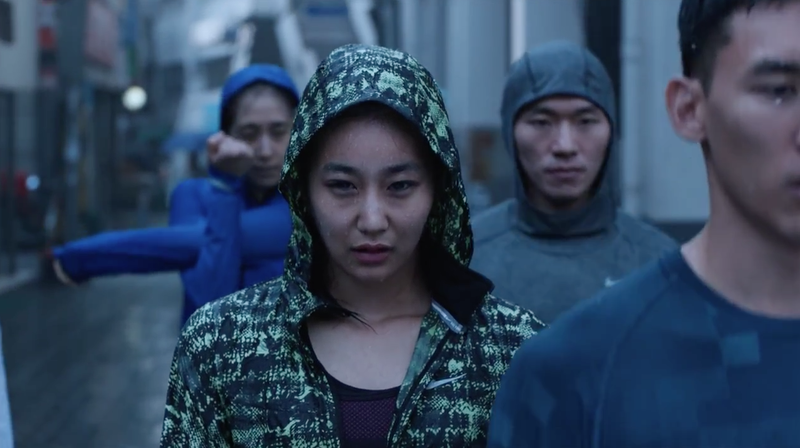 Nike Korea's new "Just do it" campaign kicks off with "Play Loud," a 90-second short film by Wieden + Kennedy Tokyo. Like past Nike works, it promotes team sports as a way to dodge conformity and express individuality while still wearing matching uniforms. The spot stars Korean soccer legend Lee Young-Pyo, who appears in an ironic role as a joyless adult telling young athletes in training that they won't make it: "This won't change anything" and "Just do what everyone else does" are themes that resonate, especially for those trying to excel in a culture often defined by strict conformity to social norms. In the end, the ad encourages athletes to ignore those negative refrains and keep working because that's the only way to win. Underlining that, Lee's voice grows silent and his face shines in quiet pride as his victims gradually overcome their initial frustrations … and the sound of his own voice. There's irony in being told to buck authority by a global corporation whose brand defines conformity to many, so videos like this create their own distance even when they mean well. W+K and director AG Rojas did a nice job with it, though, and Lee Young-Pyo was well cast. In addition to this video, Nike Korea is soliciting stories of perseverance from kids via KakaoTalk and sharing them on Nike.com, and it will sponsor sports events as well.